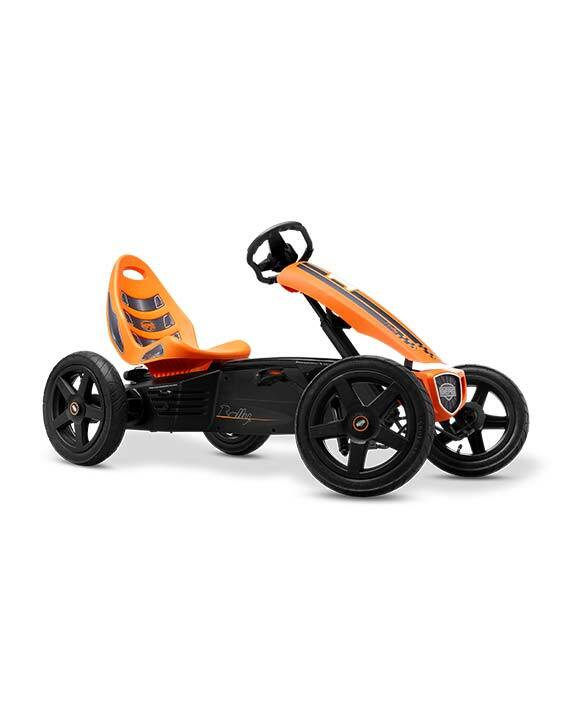 The BERG Rally Orange is a light and compact go-kart you can play with anywhere outdoors. 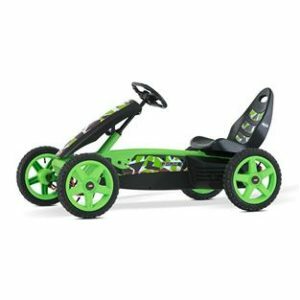 Explore your neighbourhood or organise a race – it’s all possible with this go-kart. What’s unique and safe about this go-kart is the BFR system, letting you brake with the pedals, and when you have come to a halt, you can immediately pedal backwards. Because the seat and steeringwheel are both adjustable, the BERG Rally Orange is suitable for children aged 4 to 12. 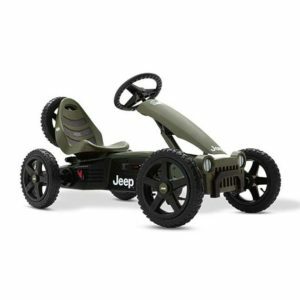 You can make playing outside even more fun with the BERG Junior Trailer.